The Alone to the Alone was first published in 1947. It came, Gwyn Thomas recalled, as the “last gasp of the first violent mood” of creation with which he had written his early masterpieces Oscar and The Dark Philosophers. 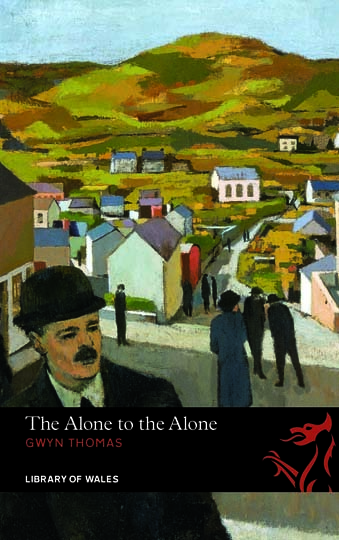 The Alone to the Alone unites Gwyn Thomas’ lyrical and philosophical flights of narrative in a satire whose savagery is only relieved by irrepressible laughter. It is Gwyn Thomas’ most shaped work: the underlying meaning of South Wales' history is not so much documented as laid bare for universal dissection and dissemination. The novel, with its distinctive plural narration, is a choric commentary on human illusion and knowledge, on power and its attendant deprivation, on dreams and their destruction. The Alone to the Alone is History as Carnival and, in Gwyn Thomas’ unique voice, a comic vision of humanity that recognises no geographical boundaries. Gwyn Thomas was born into a large and boisterous family in Porth, in the Rhondda Valley, in 1913. After a scholarship to Porth County School he went to St Edmund Hall, Oxford, where he read Spanish. Mass unemployment and widespread poverty in South Wales deepened his radicalism. After working for the Workers’ Educational Association he became a teacher, first in Cardigan and from 1942 in Barry. In 1962 he left teaching and concentrated on writing and broadcasting. His many published works of fiction include The Dark Philosophers (1946); The Alone to the Alone (1947); All Things Betray Thee (1949); The World Cannot Hear You (1951) and Now Lead Us Home (1952). He also wrote several collections of short stories, six stage plays and the autobiography A Few Selected Exits (1968). He died in 1981. In the Terraces, we never opposed love. The way we viewed this question was that love must be pretty deeply rooted to have gone on for so long. One would have to be very deep to tinker with so deep a root, deeper than we were. Also, love passes on the time. That is a prime feature in any place where there is a scarcity of work for the local men and women to do, a state which prevailed on a high plane indeed during the dark years now being spoken of. Also, love, properly used, keeps people warm. 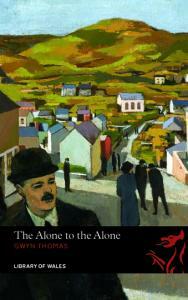 Buy The Alone to the Alone from the Parthian online bookstore for £7.99.